Our Latest Residential Projects Are Live! Each of these three projects has been the successful outcome of good collaboration with our clients to whom we are grateful for their trust. The existing brutalist envelope of this Sydney terrace has been boldly reimagined as an inviting, rich and dynamic city sanctuary. Crisp detailing brings into focus the dramatic palette of finishes selected for their inherent natural beauty, producing an unadorned contemporary language. The articulation of these finishes highlights the strong geometry that connects the spaces vertically and horizontally. The redesigned interiors inject texture and theatre, creating a cohesive energizing home. A successful collaboration with the clients and architect Sky Grove resulted in a well-realised project, with the personalities of the clients indelibly integral to the outcome. 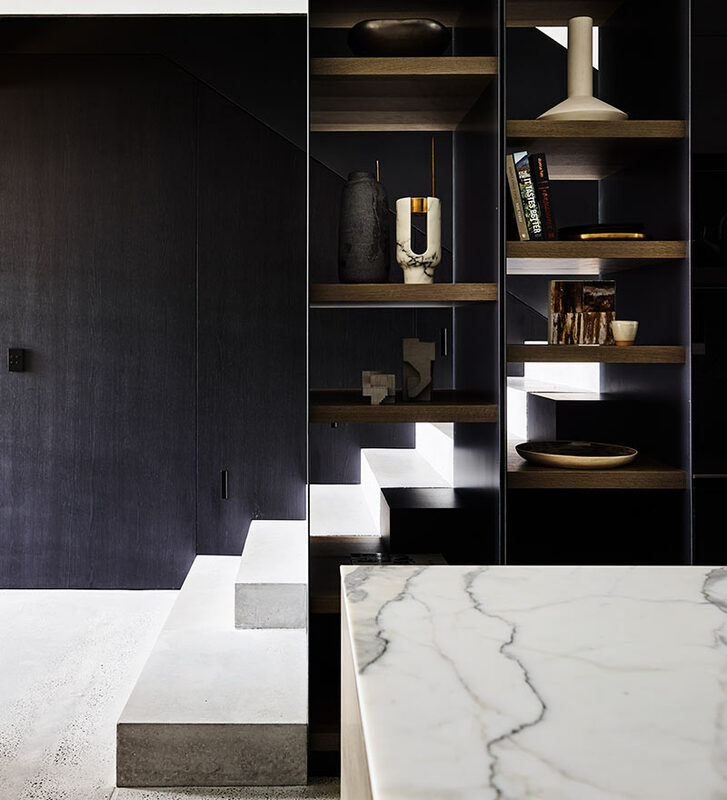 This project was recently shortlisted in both the Residential Design and Residential Decoration categories for the 2018 Australian Interior Design Awards. See City Fringe in full here. See The Old Dairy in full here. Our clients’ brief for the interior of this newly built home overlooking Sydney harbour, was to create a sophisticated, elegant family home emanating warmth, drama, contrast and comfort. We created a cohesive sequence of spaces throughout the entry level with a series of framed interior vistas, portals and screens, inserted to articulate scaled, comfortable spaces. These elements kept the floor plan fluid and light-filled whilst simultaneously creating intrigue, intimacy and connectivity. A successful balance was achieved between the masculine aesthetic set by the architectural envelope and the elegant brief set by the Client. Considered transitioning of materials resulted in a dynamic juxtaposition of texture, colour and scale. Warm, raw, cool, polished and waxed elements are woven throughout creating an intriguing marriage of distinct but harmonious textures. See Hilltop Harbour in full here.